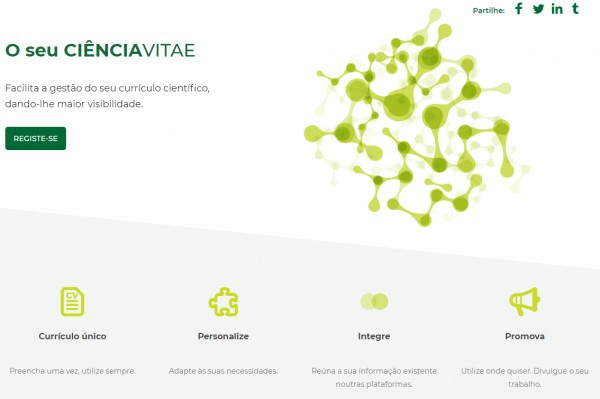 CIÊNCIAVITAE is a unique, personalized, simple, harmonized and structured curriculum that gathers the information that is presently dispersed in multiple platforms, as FCT-SIG CV, DeGóis, RENATES, REBIDES, ORCID and RCAAP. Existing platforms will be discontinued by phases and CIÊNCIAVITAE will be fully operational in 2021. After 1 mar 2018 you will not be able to create new curricula and after 1 Jul 2018 the access to edit your curriculum will also end. FCT provides several support and tutorials that help you in the process of transition between platforms.